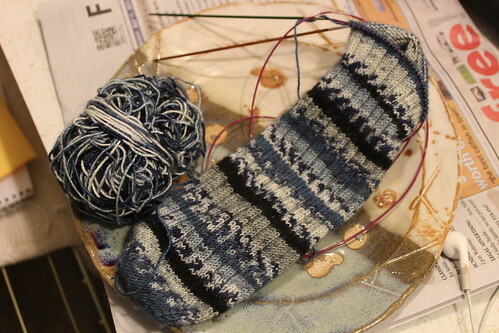 Mr. Iknead’s socks continue to grow. The first of the pair is finished, and the second maybe 2/3 finished. My goal is to have them done in time for FO Friday. I’ve said that before and been defeated, but hope springs eternal and all that. I noticed yesterday that my basil was beginning to flower and that means it needed to be harvested quickly if I’m to have more basil this summer. 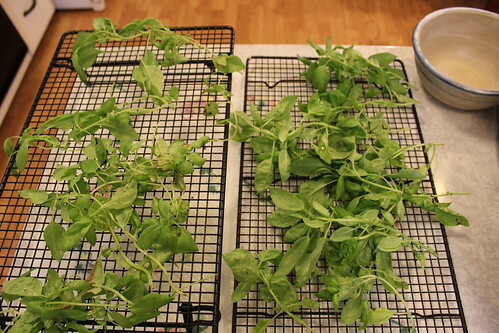 I was going to dry it, but learned that because basil has a high water content, it does better when frozen than when dried. Learn something new every day, I do. I’m nearly through with Joyland and have enjoyed it immensely, wishing sometimes that there were just a couple more hours in the day, like 26 or 27 instead of just 24, just so I could squeeze in a little more of my favorite pastimes. (I think I just heard a few moms of toddlers groan.) I also checked out a couple of library books on spinning and knitting; the pictures are lovely, I may never get to the text! 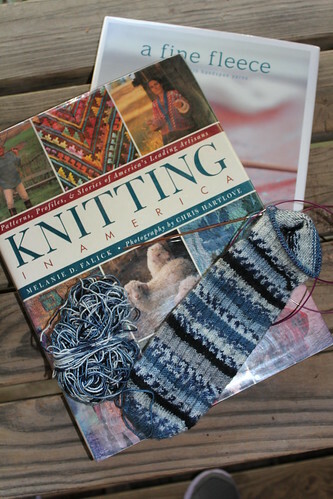 I’m linking up today with Tami, Ginny’s Yarn Along and Frontier Dreams KCCO. Don’t forget to visit these awesome blogs!